South Stream's European partners should be allowed have their say in the pipeline project's future, the Bulgarian President has said. 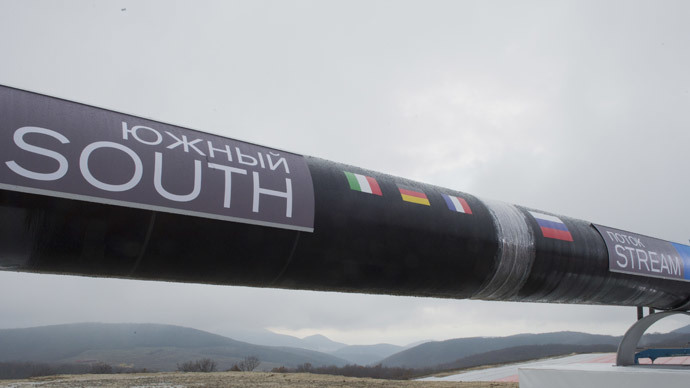 "South Stream is not a project of Russia and Bulgaria; it’s of Russia and the European Union. 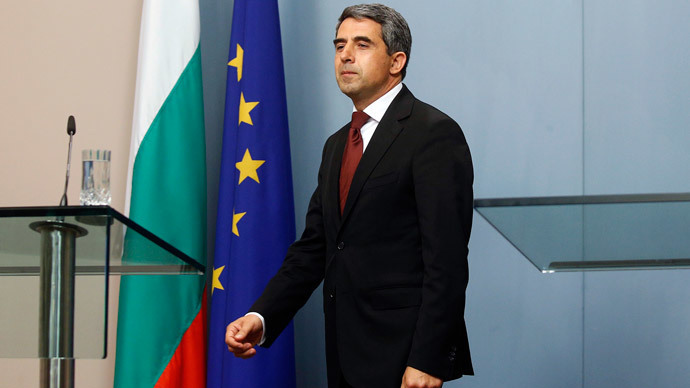 A decision on it can only be made in the Russia-EU format," Rosen Plevneliev said Tuesday. "The participant states of South Stream have done serious preparatory work and authorized the European Commission to hold talks with the Russian leadership to take a final decision on the project," he said. The president stressed that there will be no objections to the gas project if Russia agrees to comply with EU legislation. "I oppose the idea that a kind of confrontation is happening,” he said. “When laws and regulations are observed, all large and small projects work out. I believe that no one in the EU will say ‘no’ to South Stream if Russia complies with the requirements of European legislation," Plevneliev concluded. Earlier on Tuesday Bulgaria’s Economy Minister Bozidar Lukarsky said the country will consider South Stream an operating project until it receives an official announcement from Russia. "For me, the South Stream project isn’t closed yet; we haven’t received any official announcement from Russia. When it comes, then we will comment on this topic," said Lukarsky. Deputy Prime Minister Meglena Kuneva also declined to comment, but stressed that "Bulgaria supports the idea of having a cost-effective project and at the same time comply with European legislation." Italian construction company Saipem is involved in South Stream construction and has said it continues to work on the project, since it hasn’t received official notification about a halt to South Stream. 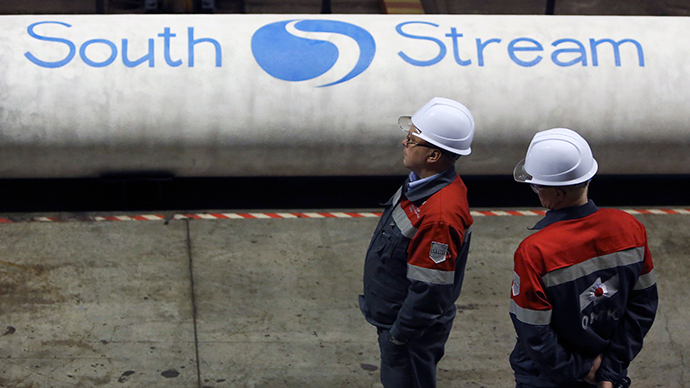 The ending of the South Stream project would mean huge losses for countries across Europe. For Bulgaria, this would mean €400 million in lost transit fees, Russian President Putin said on Monday. The share in the country's €40 billion GDP to come from South Stream was expected to be 1.5 percent, according to Bulgarian Economic Ministry. Direct investment was supposed to be around €3 billion creating around 2,500 new jobs. The Northern parts of the country, through which the main pipeline route would be laid, were expected to have significantly improved social infrastructure and become more attractive to investment. The European Commission is impeding the South Stream pipeline construction; however Serbia is interested in the project, the president of the Serbian Gas Association Vojislav Vuletic said Tuesday. The gas association head thinks the EU is only hurting itself. “It turns out that the problems are created by bureaucrats from the European Commission, while the real participants of South Stream are very interested in the implementation,” he said. Vuletic also pointed out the project’s importance for Serbia, as it would provide construction jobs, not to mention jobs operating the pipeline itself, and the income the country would get from transit. He confirmed that the closure of the project would seriously damage the Serbian economy. Hungary has reacted saying that it will be forced to look for alternative sources of gas to replace South Stream supplies. The country could possibly increase the amount it gets from Azerbaijan to compensate, according to the Hungarian Foreign Minister Peter Siyyarto. "Russia had the right to take such a decision, and Hungary admits it," he said, commenting on Russia's decision to close South Stream. Hungary has been actively supporting the project, and passed a special law early last month allowing construction to begin, bypassing restrictions imposed by the EU.